Love Indiana? Revel in retirement when you choose a Sunshine Retirement property in The Hoosier State! Indiana embodies the spirit of Midwestern America. From the large city of Indianapolis to quaint small towns like Santa Claus (yes, that’s the town’s name! ), Indiana mixes sophisticated cultural attractions with lovely natural areas. Home of Notre Dame, Purdue and the infamous Hoosiers, Indiana is known for its agriculture–corn, soybeans, and wheat dominate much of the landscape–but also for the beautiful Hoosier National Forest and the shores of Lake Michigan. Whether the Indy 500, Antique Alley, or Indiana Dunes State Park, there’s a lot to like about Indiana! For many, especially families of seniors transitioning into Assisted Living and Memory Care, the Midwest is the best–an excellent choice for care! Keeping mom or dad, grandpa or grandma close by is of the utmost importance, and for many seniors. 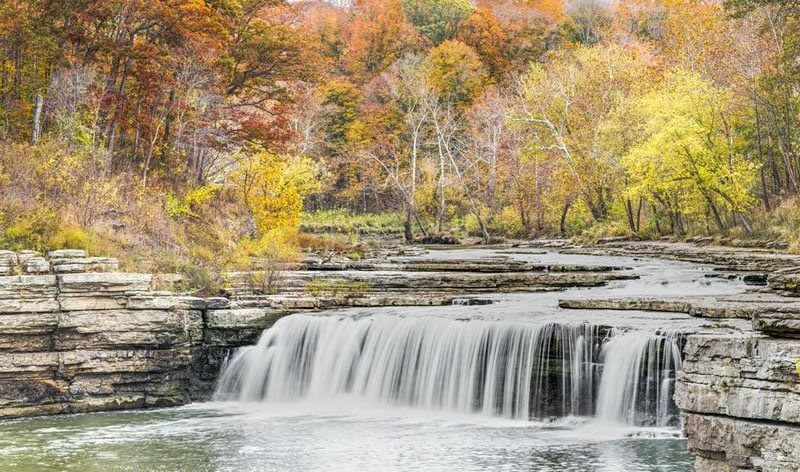 Indiana also offers mild summers, gorgeous fall colors, plains and rolling hills filled with farm fields, scenic barns, and quaint small town landscapes. Fertile soils and a stable growing season make many areas ideal for gardening and farming, with abundant fresh produce available summer and autumn. The larger Midwest is known for exceptional medical facilities, universities, and cultural events that are second to none–and Indiana is in the heart of it all! Sunshine Retirement residents enjoy all-inclusive, worry-free living: We provide our residents with a comfortable apartment, healthy and nutritious meals, transportation, utilities, a full activity calendar, beautiful common areas, and more. With over ten years of experience caring for residents in Transitional Assisted Living and Memory Care, our experienced, dedicated staff will ensure that your loved one receives the Person-Centered Care that they need. Our team includes a highly-trained Executive Director, licensed Director of Nursing, licensed Memory Care Director, and certified Life Enrichment Director. Click on the link below to learn more about our Sunshine Community located in Indiana. Come by for a visit and get to know the caring staff and friendly residents. While you’re there, why not join us for a free lunch! Best of all, our Pack & Move Special will make your loved ones move into a Sunshine Community positively worry-free!